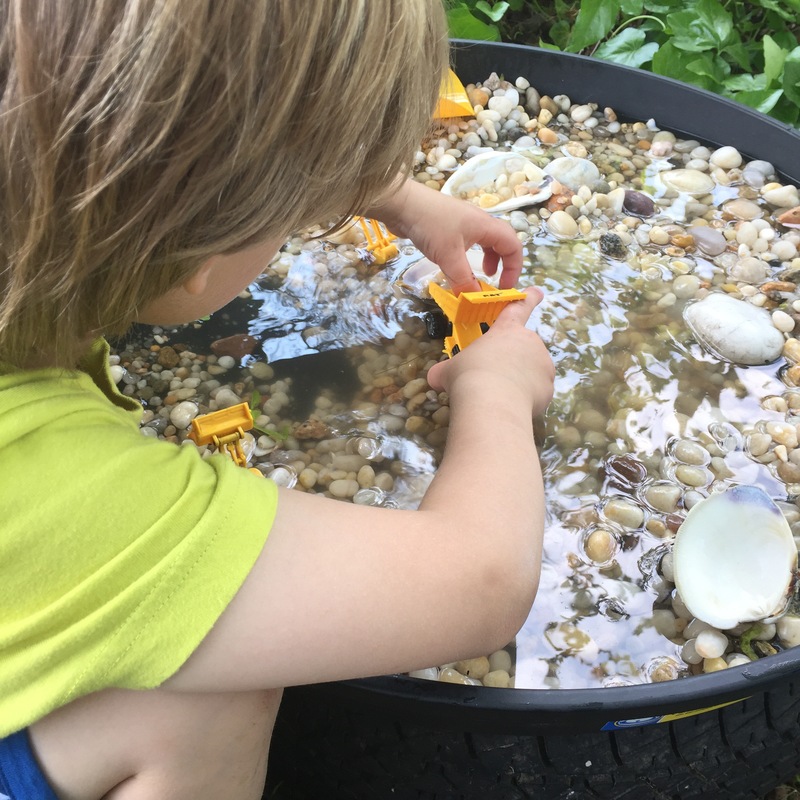 This simple and affordable set up has kept my kids entertained and engaged while providing a variety of sensory experiences. 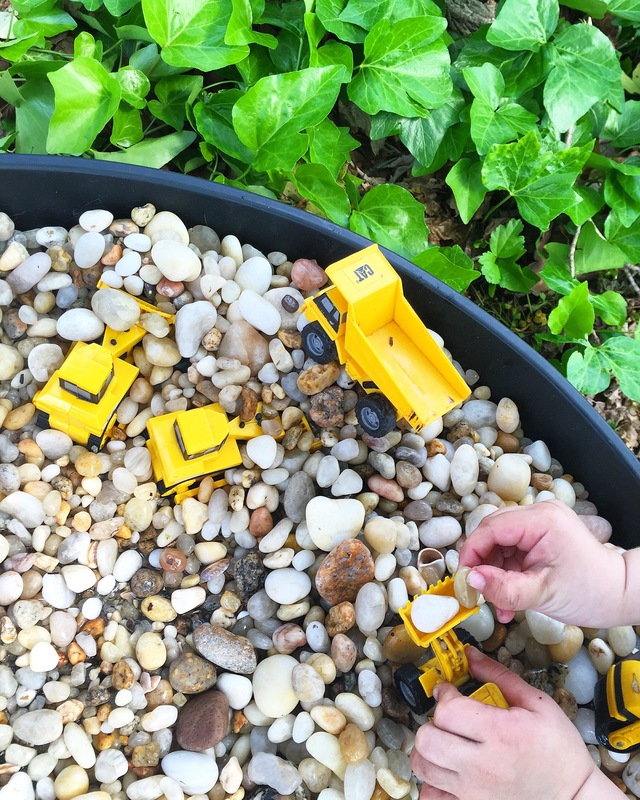 When we first put it together, it was just pebbles and trucks but an immediate attraction. I had previously collected the rocks from the beach and I much prefer putting in the extra effort then purchasing rocks and not knowing what they’re made of or if they’re coated with something harmful. I also have a few tires in the yard and used one as the base. The round tray is a hot water heater basin. It’s great because it’s sturdy and has a drain to easily get rid of water. 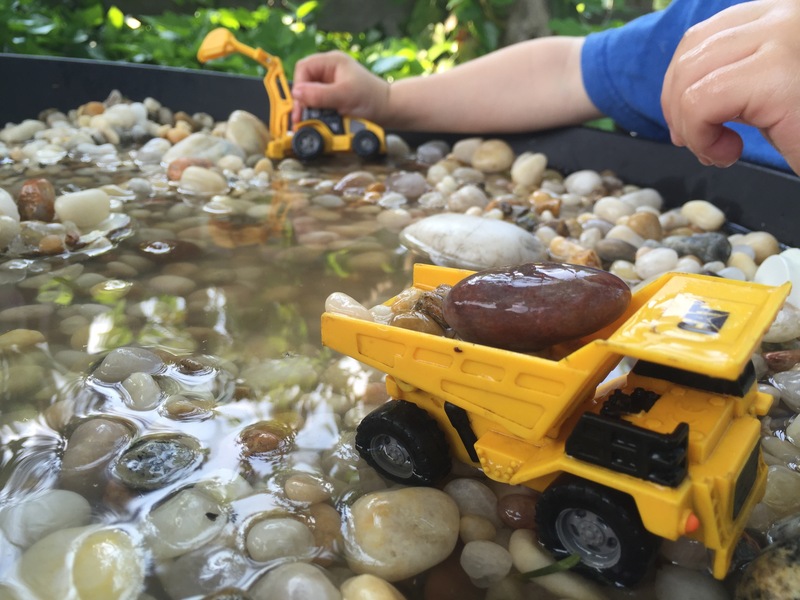 The trucks have been around for years and are usually in the sandbox. 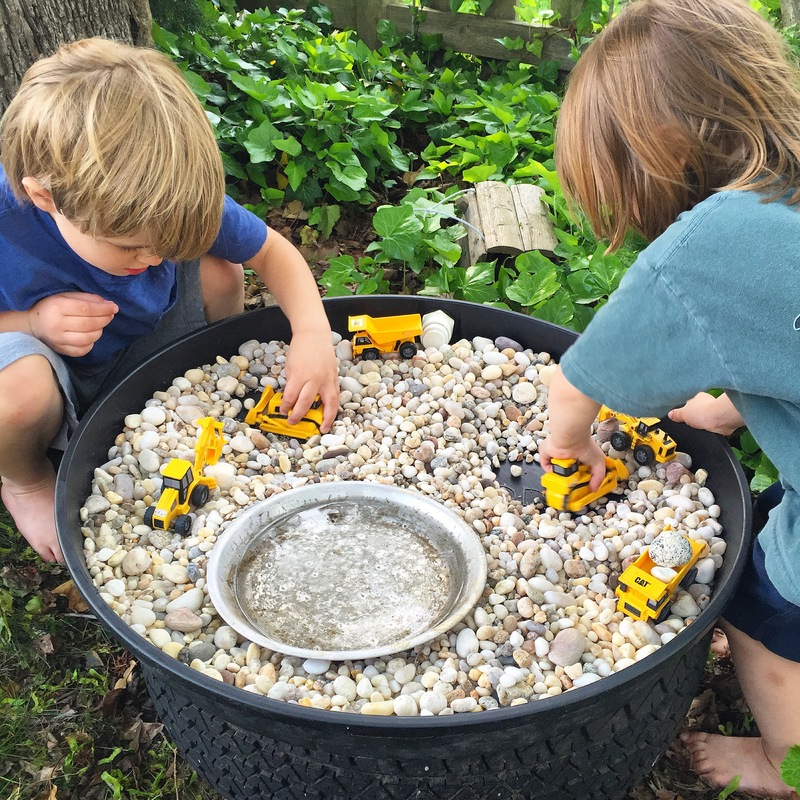 I definitely recommend purchasing a set or two for any outdoor play. 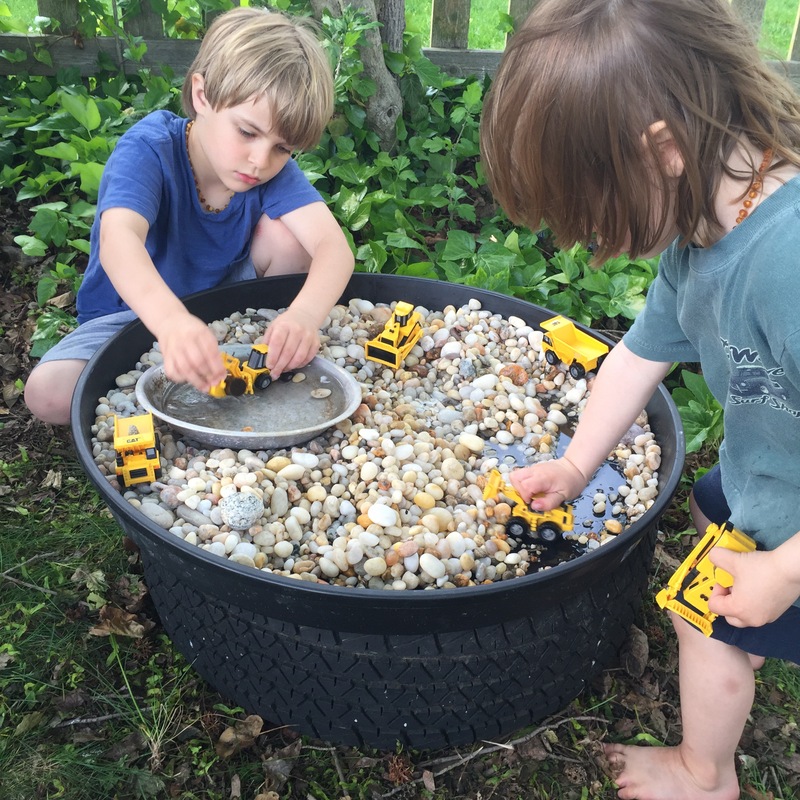 They’ve been a big hit, encourage fine motor development and have held up very well. 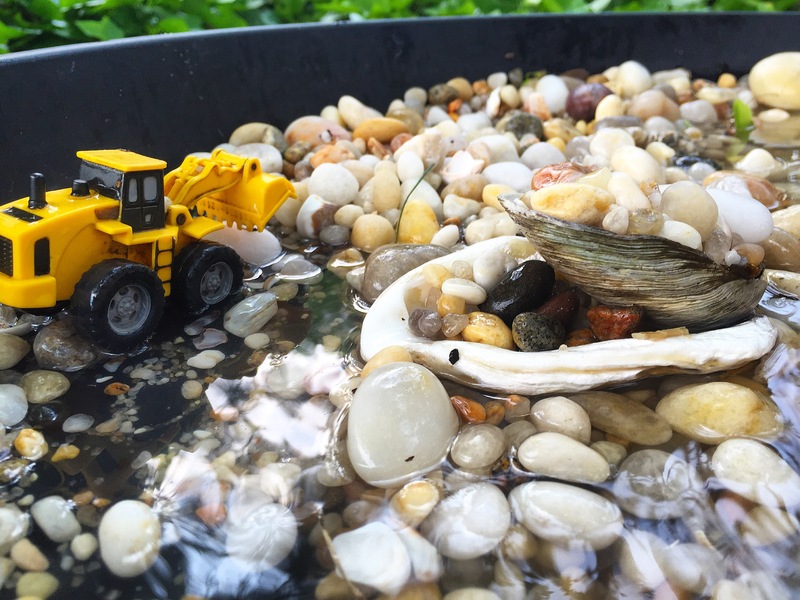 To add on to the excitement, today I poured a few buckets of water into the pebble tray and removed the trucks. There was some great sensory input with scooping and digging while only using their hands. Texture, temperature and sound, too. 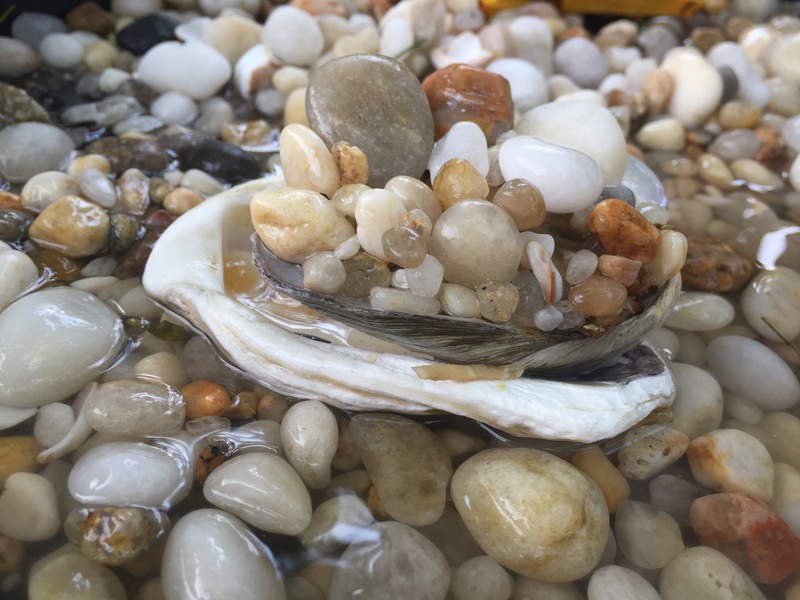 My niece discovered that when dropping one or two pebbles into the water it made for a pleasant sound and watching the ripples in the water was mesmerizing for all of us. 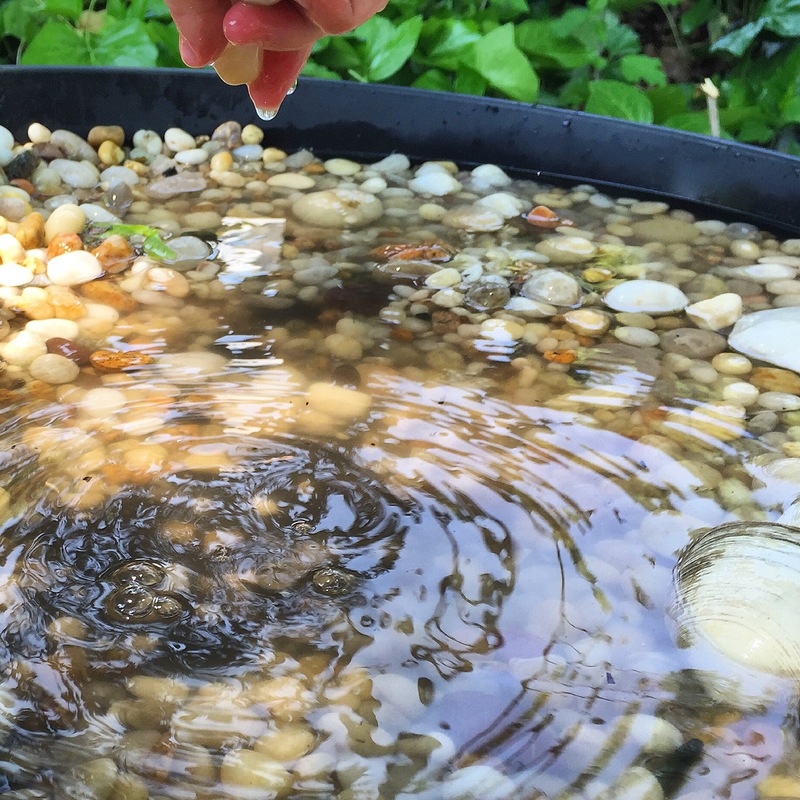 Mixing shells in with the pebbles provided yet another way to scoop and create. Later on, the trucks were brought back into the mix and it was decided that the addition of water was preferred to no water. I’m excited about this new area of our yard and have a few more ideas on ways to change it up as the days go on. I’d like to add some more shells, maybe some sticks and possibly swap out the trucks for our Plan Toys bath toy boats.